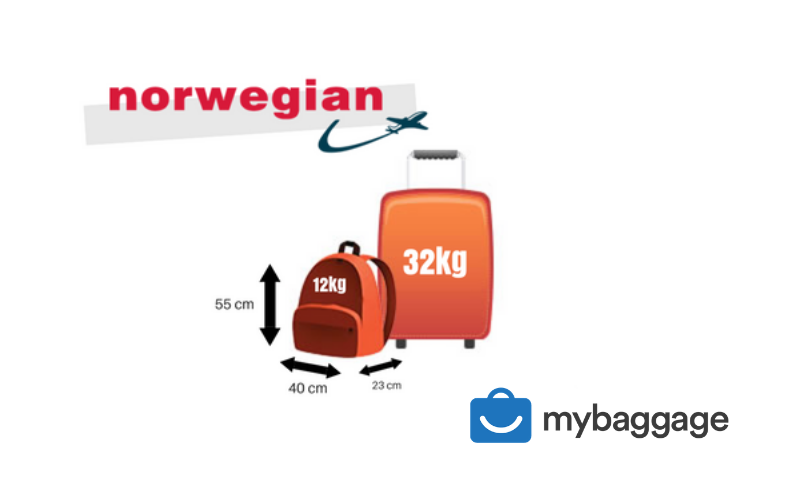 If you’re travelling with Norwegian Airlines on an upcoming flight, here’s everything you need to know about your Norwegian Airlines baggage allowance and fees. Travelling to/from Dubai? Hand baggage limit is 8kg due to restrictions on these flights. Your ticket type determines if checked baggage is included, or whether you’ll need to pay extra in order to get a larger baggage allowance. Checked baggage can be altered up until 6 hours before flight departure. Each bag must not exceed 32kg or be lighter than 2kg in weight. Each bag must not exceed 250 x 79 x 112 cm (L x H x W) with a maximum circumference of 300cm. Your total amount of checked bags cannot exceed 64kg. Note: Prices are per person, per one way flight. Excess baggage charges apply to any items over the 2 checked baggage limit, and to items that exceed the weight limit of 20kg. £9 per kilo, per leg. When travelling with Norwegian Airlines, sports equipment (skis and snowboards, golf equipment: max 20kg, surfboards and kite equipment, bikes, driving equipment: 25kg. For more information, click here to find out what is allowed to be carried on board. For all flights (excl. international long haul), it’s priced from £30 – 45 (online), and £40 – 70 (airport). For international long haul, it’s priced from £50 – 60 (online) and £60 – 70 (airport). Each item must not exceed 32kg or be lighter than 2kg. Your gear must not exceed 250 x 79 x 112 cm (L x H x W) with a maximum circumference of 300cm. Norwegian Airlines is an undeniably affordable travel option if you are travelling with a small amount of luggage off season. However, if you exceed the weight allowance, book baggage at the airport or travel during peak periods, you may face considerable fees. My Baggage allows you to ship a massive 30kg per suitcase at fantastic low rates. You’ll also have the option to pay for even heavier bags, if you need to, and you can add as many items as you like to your booking. 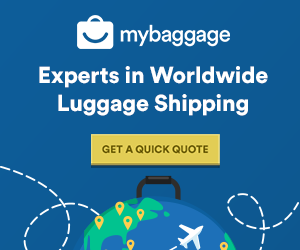 Shipping luggage with My Baggage allows you to bring more with you than if you were relying on a few checked pieces of baggage. Find My Baggage on Facebook, Twitter, Google + and LinkedIn.